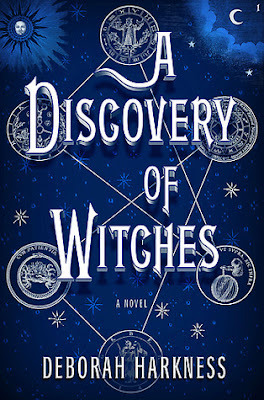 I read A Discovery of Witches on the recommendation of a couple of friends who were enjoying the All Souls series. As I mentioned before when I said I'd started reading it, this is a bit of a guilty-pleasure read. It's pretty much Twilight for grown-ups (but not uber-nasty like the Grey books, you dirty birds). The premise is there's a witch who's, like, in denial of her witchhood. She meets a handsome vampire, adventure ensues. I found it to be a little silly, but overall entertaining. I gave it an extra star on Goodreads because I felt the author had done well in researching her science. I found those portions very interesting. It otherwise would have earned three stars for lack of believable characters. I know, it's a books about witches and demons, what do I want? I just want people to behave as I would expect them to in real life, is all. Overall I think it's a decent read, excellent if you're heading off for a beach vacation. I get done reading a book about witches, vampires and demons and what do I do? Move on to another book about the vampire apocalypse. I may have a slight obsession with the supernatural, and we're already aware I have more than a slight obsession with end-of-humanity stuff. 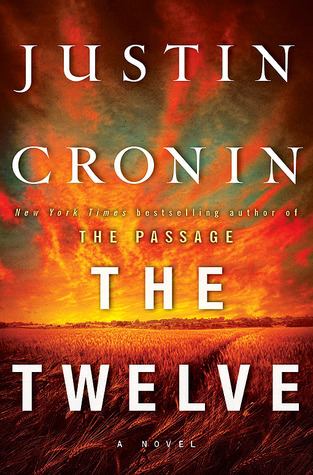 The Twelve is the second book in The Passage series. If you haven't read it, The Passage is an epic tome detailing the near-demise of the human race in North America due to meddlesome scientists having created vampires while experimenting on the scourge of society: prison inmates. Who better to turn into vampires than rapists and murderers, amirite? It took me a while to slog through The Passage, but it was interesting and mostly fast paced. The good news is I think The Twelve is even better. Really imaginative, well-written, and satisfying. It's long but I breezed right through it. My only criticism is that because there are so many characters and their stories are so detailed and complex (and they span over a hundred years), I sometimes had to think for a minute before I remembered who a certain person was. Still, even though there are so many characters, I felt each of them was so well-developed and detailed that a couple of parts made me a little misty. A vampire book of all things! In summation, I think this series is a great choice if you're into the same stuff I'm into. Currently I'm reading White Jacket Required by Jenna Weber. She includes several recipes I look forward to trying. What are you reading? Anything good? Anything crappy? I'm reading The Tender Bar right now and am excited to start on Wild as soon as I'm done. My husband is reading Wild and keeps reading parts of it out loud to me. The writing is insanely good. The Tender Bar is also insanely good, but since I am also writing a memoir that involves alcohol, I find it depressing to compare myself to the level of detail he has in his book. Maybe I shouldn't be reading it? Why is this just now occurring to me? Ha.